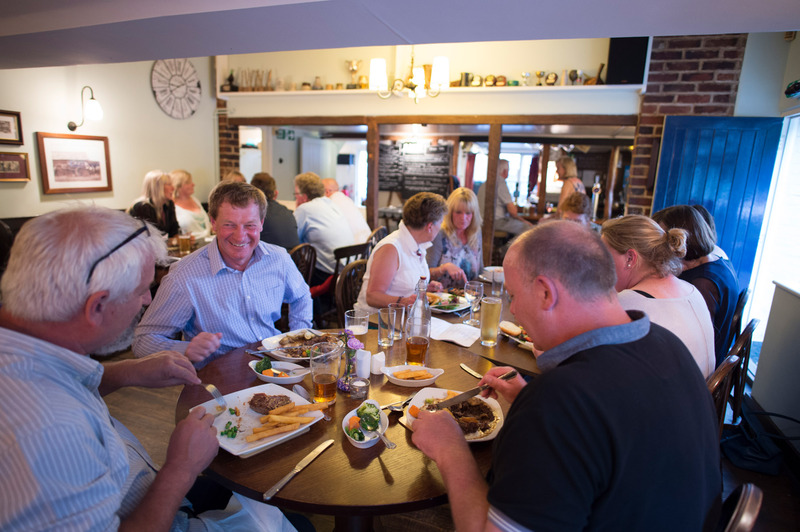 Good, honest pub food makes The Alma one of the best pubs in Faversham for a leisurely lunch or dinner. We have a charming 45-cover restaurant, serving up delicious homemade dishes every day. Our menu includes the original Sizzling Chicken and Sizzling Beef, cooked on a skillet and brought sizzling to your table, made to the time honoured recipe handed down from Jill and Mervyn Carter and still much loved today. Also included are old favourites such as homemade steak-and-kidney pudding, fish and chips, slow roasted belly of pork and tasty rump steak burgers, Thai curry. and Lighter bites are available for lunch time. In addition to our sample menus we also have a specials board which changes on a regular basis. Tuesday lunchtime specials are proving popular. Call 01795 533 835 to book your table and avoid disappointment. Keen to cater to the needs of all our guests, we offer gluten free bread, rolls and pasta and ice cream as a matter of course. Our menu also includes a number of gluten-free choices for all courses, while further dishes can be adapted to accommodate your dietary requirements. We always have some vegetarian dishes on our menu to suit your needs. If you have any special dietary requirements or a vegan diet, please contact us and we can create or adapt our menu to suit your specific needs.